Are you preparing for your dental implants in Richmond? If your preparing for your implants, you may still need a little reassurance and guidance on next steps and how the procedure will work. At Sheen Dental Implants, we want you to feel fully informed and engaged in the procedure, so here is a guide to support you. Take our general health advice seriously, attend smoking cessation sessions or follow guidance laid out for you. The operation itself is a very simple procedure and only requires local anaesthetic. You may still be worried, so please do discuss this with us. We’re happy to support you if you are nervous, providing extra care and offering sedation if you want it. During the procedure, we gently create a hole in your jawbone, avoiding the nerves, so it is a relatively painless during and after the operation. We then place the titanium screw into the hole, using a few small stiches to secure the gum. A temporary denture will cover the implant, or we may just leave it to heal, we will discuss these options with you. Your gum and jawbone will take up to 6 months to fully heal, after which we can fit your permanent tooth replacement onto the implant. 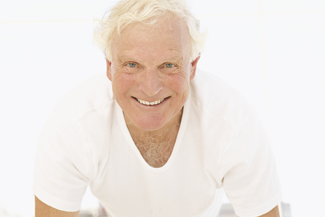 In Richmond, dental implants can give you a new lease of life. Your implant, with its fitting, does not need to be removed for cleaning. You won’t need to remove it at night or for eating and drinking. It will never decay and, as long as you take care of it, it is a long-lasting solution to tooth loss. This entry was posted in Dental Implants on 28th January, 2019 by Sheen Dental Implants.